When I first started writing these features, I was very determined that the beers I chose would be available from John O’Groats to Land’s End, so no reader could ever accuse me of being too regionalised, and become frustrated that they couldn’t get the beer in their immediate vicinity. I’m now 4 months into writing about cask beers and it’s become fairly evident that this decision isn’t sustainable. It’s come as a surprise to me that there are so few national brands, and I’m loathe to write about the same brewers time and time again. So what do I do? My lovely friend Alastair, who is the lynchpin who holds the Cask Marque operations teams together, suggested I combine a travelogue, writing about beers which, whilst only available in a particular region, could be suggested for when you go on your own travels. This caught my imagination, and gave me a bit more scope for picking out each week’s beers. So hold onto your hats and be prepared to visit Dorset, the home of Palmer’s Brewery. Actually, hold onto your hats is a bit of a misnomer because there are no motorways in Dorset. Not one. If you want to travel round the county be prepared for winding country roads (well, I say roads, some of them have a grass strip growing up the centre), slow moving farm machinery, and flocks of sheep with no intention of moving anywhere in a hurry. It’s part of the beauty of this county. Palmer’s is based in Bridport, and is still run by John and Cleeves Palmer, descendants of the founders. What sets this place apart from some of the newer brewers is their unequivocal quest to make sure their beer is served to customers in their pubs EXACTLY how the brewer intended it should taste. These guys are absolutely passionate about quality, in fact they’re obsessive. 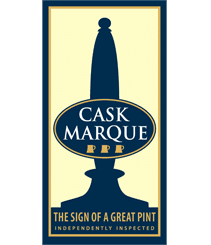 They own lots of pubs in the region, and they won’t let anyone handle, or sell, their beer unless they’ve been through a rigorous training process to make sure they have a full understanding of how to handle their cask ale. This extends to everyone who works in the brewery, from the accountants, to the telesales people, to the guys who fix the equipment in the pubs. They set an example to any brewer wanting to make sure their beer is perfect at the point of purchase. Perhaps this is why you only find their beers in a concentrated region of the south. How committed is that? For a small brewery to say “we’re not all about price, or margin, or pile it high, sell it cheap”? Palmer’s philosophy could be compared to the ethos of a big retailer like Waitrose and John Lewis: get the people right, get the product right, and never knowingly undersell. This is perhaps why they have kept their beers within their sightline, always able to control the quality. They not only have some lovely pubs to stay in, but you’re always sure of a good pint. It’s guaranteed. They keep their range small, and if I were to recommend one, it would be Dorset Gold, coming in at 4.5%. It was originally brewed as a summer ale, but proved so popular they brew it year round. It’s citrusy, refreshing, fruity and delectably drinkable. If they launched this beer nationally it would be an immediate hit. My first taste of it came at the end of a very long drive, and the landlord of one of their pubs recommended I had a pint with pork belly and roast potatoes. I bowed to his proposal and he said “Right, I’ll just go and start cooking it now”. It’s that kind of cottage industry which is so admirable. It was one of the best meals I’d had in my life, and he came to sit with me whilst I ate, with his own pint of Dorset Gold. Go and visit Palmers if you’re ever in Bridport. They are supremely welcoming, immensely proud of their heritage, and you’ll experience a triumph of heritage combined with progressive thinking.